An alliance with Ivanhoe means economical maintenance of your legacy barcode system while facilitating the move to next generation technology. Your Company is Manufacturing or Distribution, Retail or Services. 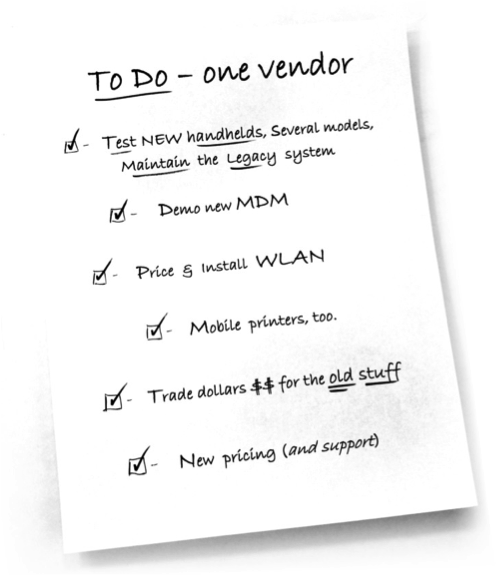 The handhelds, truck mounts or printers still work for you but you’re looking at End of Life EOL and End-of-Service EOS. The Budget for new is a year or two off. A resourceful vendor who can transition the past to the present. Legacy support – service contracts to “last leg” coverage. Demonstration of NEXT GEN connectivity and mobility devices, today. …that is what Ivanhoe is about.